►Mod Description: KLAssurbanipal would like to change completely units from this game to more historical. 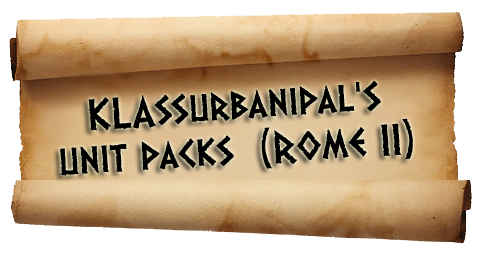 It will be a full pack of all cultures from Rome 2. He has worked on historical sources. You will find here lots of new helmets, shields, clothes and armors. It's a good mod for supporters of diversity. Last edited by Gigantus; September 10, 2014 at 09:04 AM.